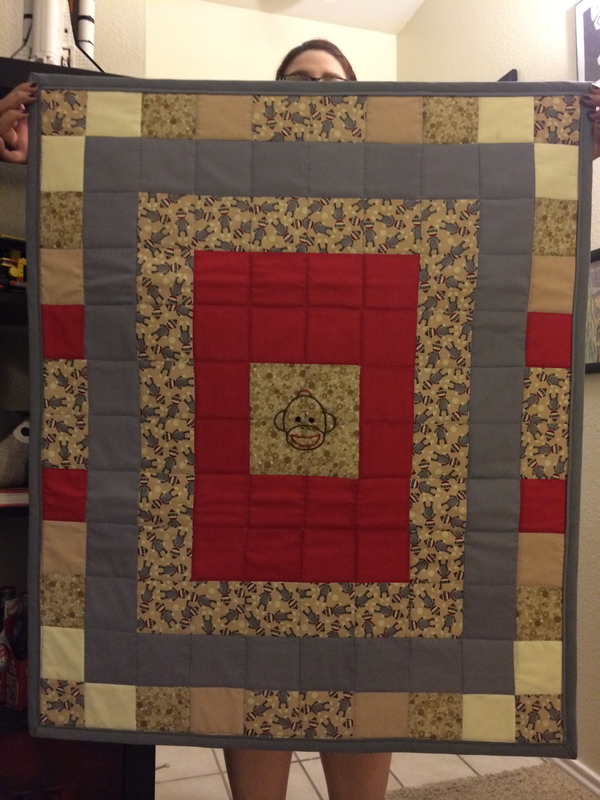 About a month ago, I made a baby quilt for a friend who was expecting. It was a fun project and really cheap to make (about $10 plus free batting from my MIL…THANKS!!) but there were times I wanted to give up. There was one section in particular that was driving me absolutely mad. My biggest mistake was not looking at the bolt to see if it was 100% cotton. Obviously it wasn’t and the fabric stretched A LOT. At one point I ended up “fixing” the area with a hand needle in tears because I was so upset. The recipient LOVED the quilt so it was worth the frustration but now for sure I’ll always look at the bolt to prevent that situation from happening again. A couple of days before I started the quilt, my MIL gave me much needed supplies and I was able to get all the squares cut within an hour or so. IT WAS AWESOME! In the past I would spend hours upon hours with a square piece of cardboard, trying to trace and cut the fabric only to see that EVERY square was a little off. It really sucked to put all of that time and effort into something that I worked really hard on. 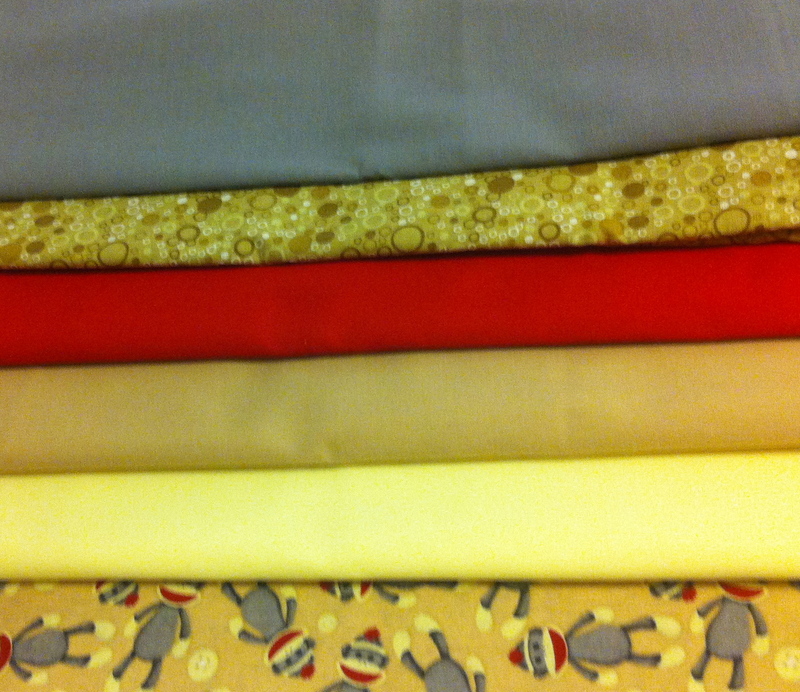 That being said, this time around was a breeze with the exception of buying the wrong fabric. 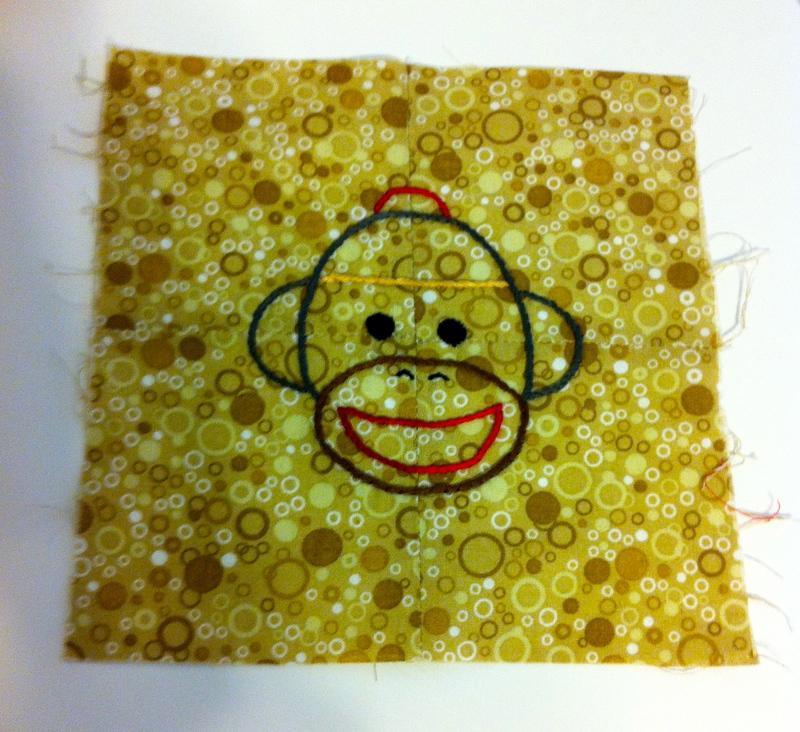 Basically, quilts aren’t meant to be perfect so don’t beat yourself up over it like I did! The finished product. Sorry for the bad pic! The lighting in my apartment can be horrendous.